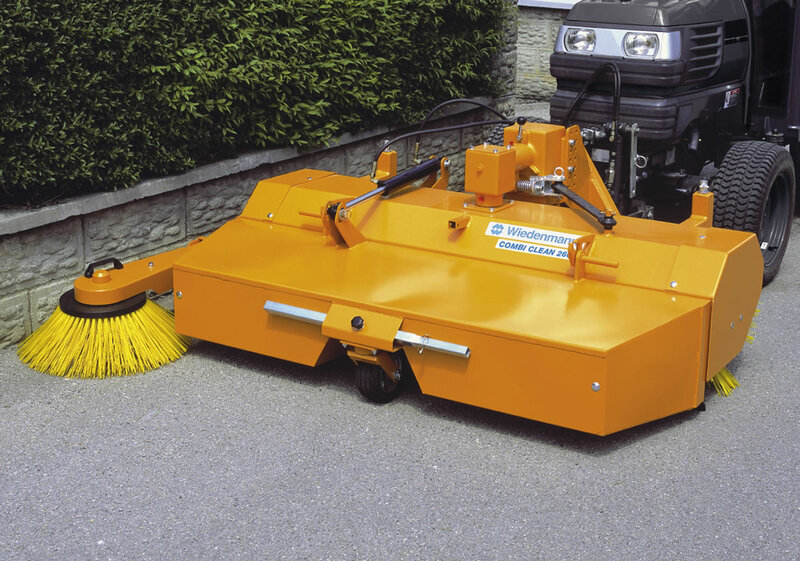 The COMBI CLEAN 2600 is a robust, shuttle-mounted sweeping machine for snow and dirt removal. The propulsion of the two-part plastic cylindrical cleaning brush is carried out with the power take-off shaft and 2 gear transmission or hydraulically. Optional equipment: Dirt container, lateral positioning, side brushes (propulsion is hydraulic or with v-belt), splash protection. If you are interested in our COMBI CLEAN 2600 use the quick enquiry form below.